You may wish to compensate staff by providing them with a commission for every service they provide. 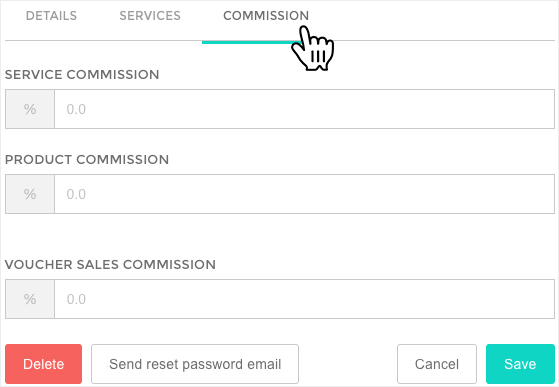 Calculating staff commissions by hand can get complicated quite quickly, so we've designed a simple approach allowing Shedul to calculate staff commissions for you. 3. Add the percentage of commission for Services, Products and Vouchers for that staff member. NOTE: Commissions are based on invoices (paid or unpaid) that are created after the commission rates are set up. They will not be applied to historically raised invoices, and past invoices cannot be edited.